Four Heatons Traders Association > 4HTA wins The Special Recognition Award! 4HTA wins The Special Recognition Award! 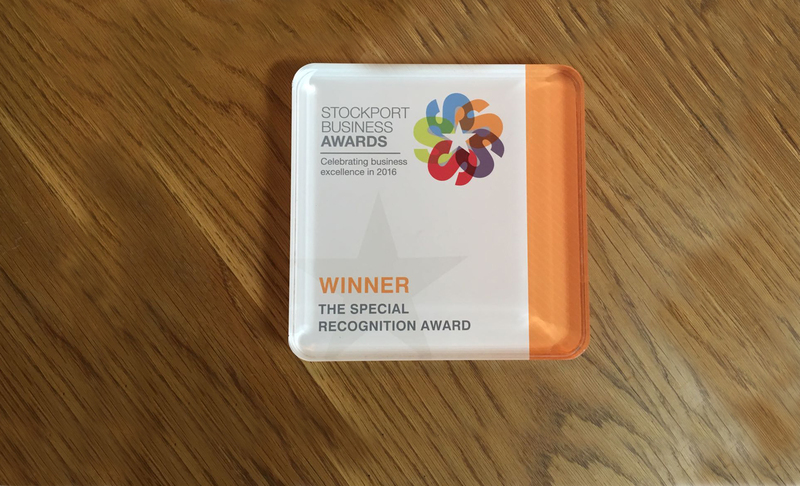 The Four Heatons Traders Association have been awarded the 2016 Special Recognition Award at the Stockport Business Awards. 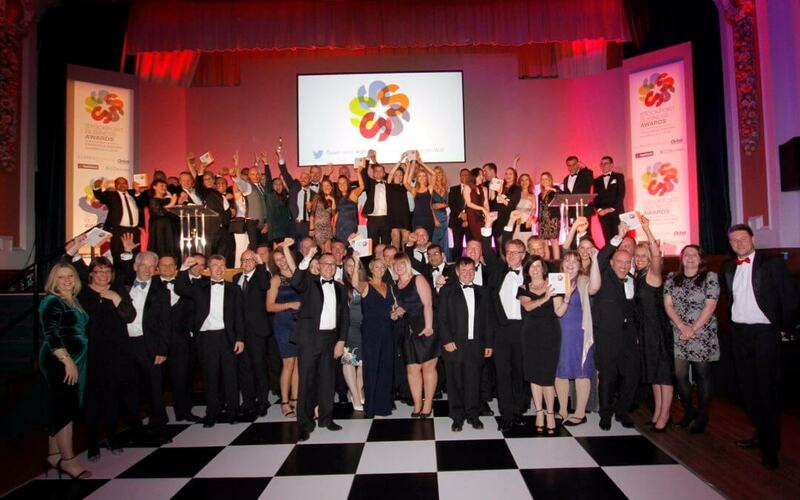 The award ceremony took place at Stockport Town Hall on 13th October 2016. Representing the 4HTA were current Chairman Shane Flannery, founder members Sharon Byrne and Raj Arora. 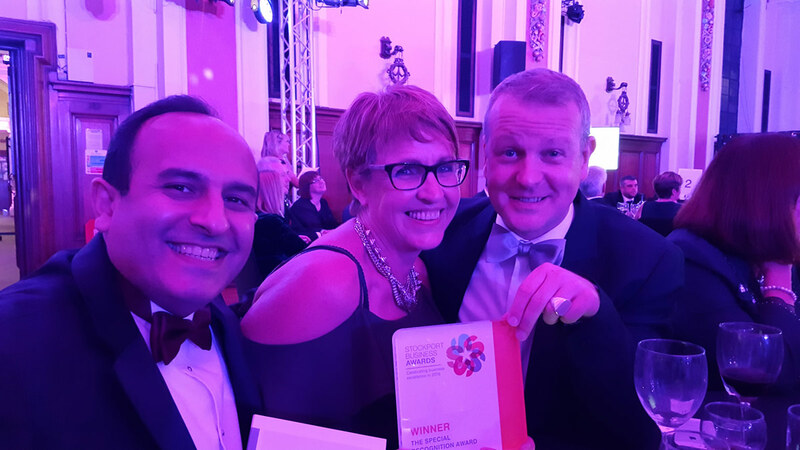 The 4HTA was recognised for their contribution to the local community, working with local businesses in the SK4 area to foster a positive trading environment. Events such as the Heatons Summer Festival and the Heatons Christmas festivals have helped create a strong community spirit in the Heatons. Members of the 4HTA meet monthly and there are always a number of projects on the go, all with the aim of making the Heatons a better place to live, work and prosper. Current initiatives include free training to create a Dementia Friendly Heatons, and Social Media and PR advice. 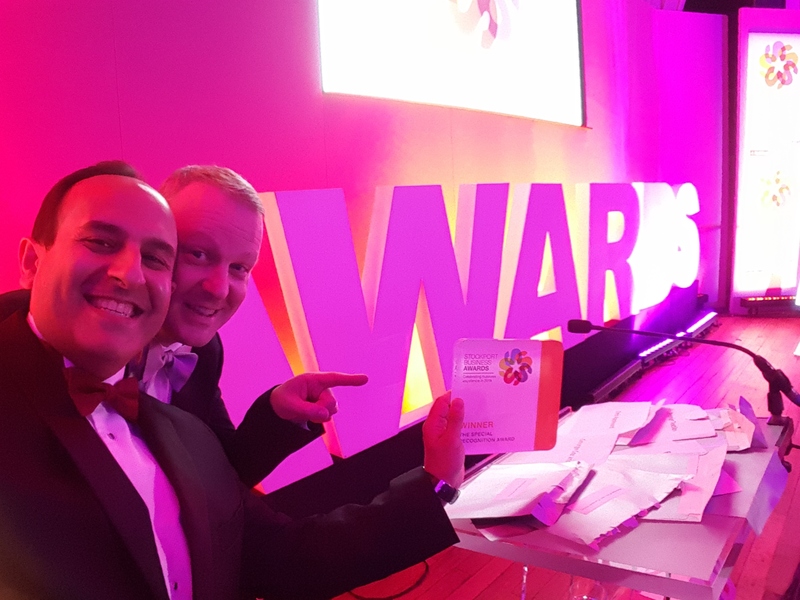 Rajeev said “we were invited to the Stockport Business Awards, and other than thinking it was a kind and generous gesture, we thought nothing more of it. Then to be given this award on the night was a massive surprise! It was completely unexpected!”. Any businesses based in SK4 is eligible to join the 4HTA. Joining is easy via the 4HTA website. Membership costs just £50 per year or £5 per month, and new members get their first two months free.